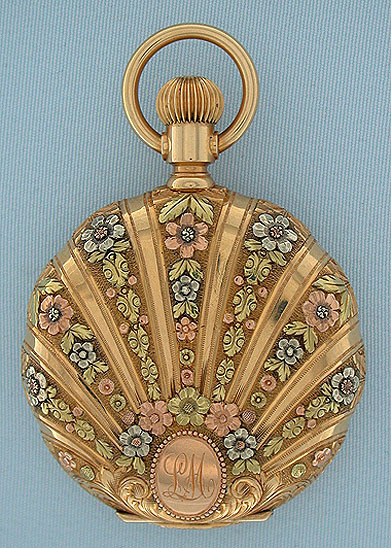 Fine and beautiful 18K multi-colored gold ladies antique pendant watch circa 1900 retailed by Jacques and Marcus, New York. 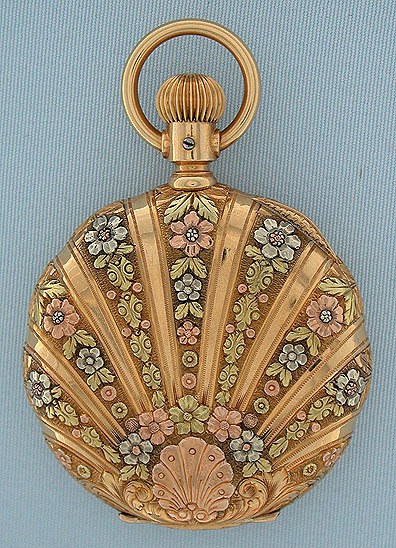 The scalloped hunting case with applied floral decorations in various colors of gold. 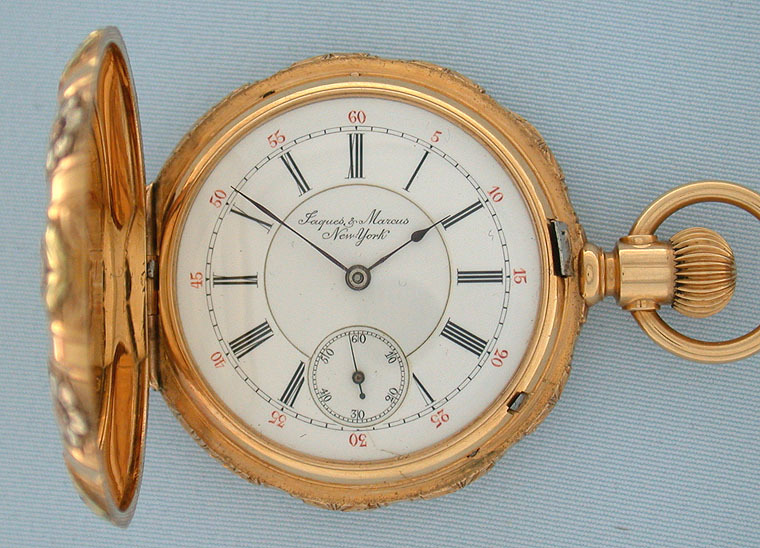 Double sunk white enamel dial (insignificant hairline) with red and black numerals and blued steel hands. 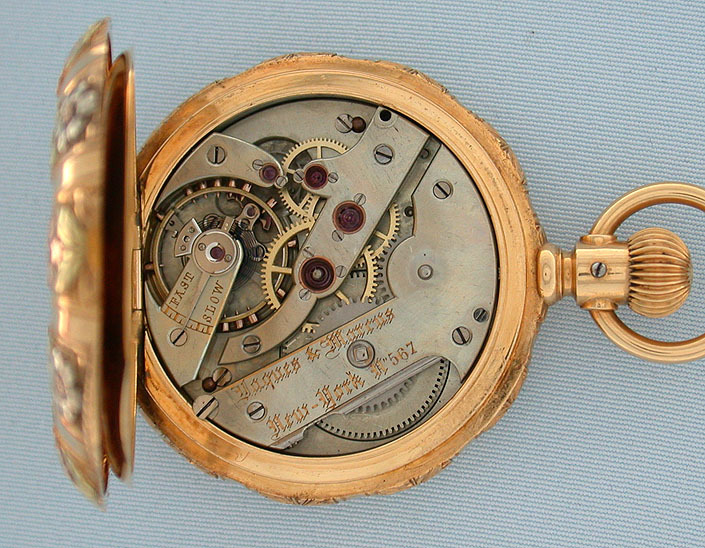 Fine nickel 20 jewel movement. Lovely.